Courtesy of the Stanley Hotel. Take a stroll through Colorado's spooky past on these fun and frightening ghost adventures. You’ve got haunted houses, and then you’ve got Haunted Houses -- I mean the real ones with history and hair-raising, real-life paranormal activity around every corner. Lucky for Colorado, much of our haunted history, be it in residences or businesses, is intact and boasts a wide variety of thrills and chills for most any age. If you are looking for a little less jump-out-and-scare-you and a little more cool-tales-and-creepy-happenings, check out the popular ghost tours below. And you may even learn something about our great state, too! 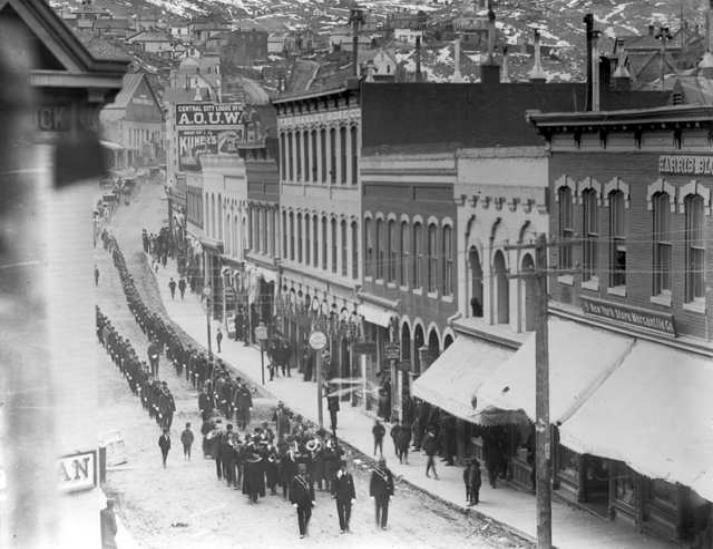 Aspen wasn’t always the glamorous ski resort it is today. Ghosts, blood, and overall mayhem abound on this fun tour of Aspen’s darker side. The tour is ideal for all ages, and the group also offers a Cemetery Tour in October. 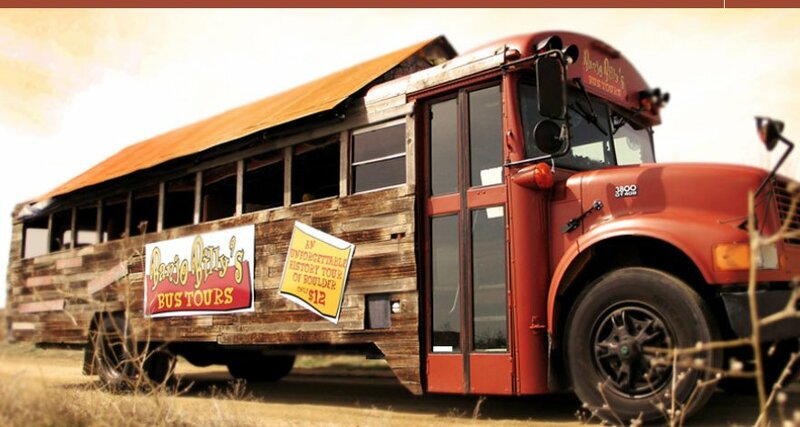 Who doesn’t want to hear ghost stories while sitting in a recliner or astraddle a saddle on a gussied-up school bus? This tour is downright fun and offers two options: a ghost tour of Boulder and a ghost tour of Denver. Learn more about the haunting of the Hotel Boulderado, or why there are cold spots in Cheeseman Park. Your hillbilly carriage awaits to take you on a haunted history ride. Courtesy of banjobilly.com. This locally owned and operated company offers a Twilight Ghost Tour which features haunted, historic Millionaire’s Row mansions (which includes the infamous Peabody Whitehead Mansion) and paranormal happenings, as well as the Capitol Hill Ghost & History Tour where you will learn about Denver’s colorful, and often scandalous, past. Scaring people since 2002, the tour takes you on a trip through the past with verified facts and documented hauntings. Learn about Manitou’s own Dr. Frankenstein and the town’s most famous ghost, Emma Crawford, among many more apparitions. Learn about mysteries and mayhem in the mountain town of Breckenridge. You will explore the seedy underbelly of its wild past, and ghost hunting equipment will be provided for a good old-fashioned paranormal party. This popular tour company offers two tours that will give you the goosebumps. The Ghosts and Legends Tour takes you on a haunted walk through historic Morrison, where you’ll hear about the Hatchet Lady of Red Rocks and much more. The Murder, Mayhem, and Madness Tour takes you through the tales of the wild-west Golden, complete with the hanging of an innocent man. Central City has had over 150 to build up its collection of creepy, and it has plenty of spooky spots to peruse (some that closed to the public the rest of the year). You’ll witness reenactments and hear all sort of gruesome tales about this mining camp turned casino town. Here's a Central City funeral procession to get you in the mood. Courtesy of Haunted Colorado. Did you know Denver has an intricate series of tunnels just below our feet? Dark Side of Denver does, and it wants to take you there! From bar haunts to terrifying tunnels, this tour will let you enter some of the stops along the way to learn about Denver’s dark history. Led by seasoned paranormal investigators, the tours offer three different options for a true haunted Denver experience: The Capitol Hill Ghost Tour, Quality Hill Ghost Tour, and Cheesman Park Special Event Interactive Ghost Hunts. You will hear real stories and see real haunted evidence they’ve captured on the properties. This popular tour group offers several ways to get your ghost on. The Fort Collins Ghost Tour takes you on notorious sites, both above and below ground. The Speakeasies and Spirits Tour takes you back to prohibition, but only in the stories. Check out Ghosts and Goodies for family-friendly fun with sweet treats. There also a Haunted Pub Tour, a Horse and Buggy Ghost Tour, and Late Night Ghost Tour. The Brown Palace Hotel is a haunted hot spot, and now you can prowl the halls in search of the supernatural. Meet the socialite who used to live at the hotel or track down the men who died over a love triangle with an already married woman. These ghost tours are by private group only. More than a century before the Denver Botanic Gardens came to be, it was actually central Denver's boneyard. After dark, guides will take you through the garden's winding paths, leading you straight into spooky tales and more. Denver Cemetery was moved for Cheesman Park and the Botanic Gardens. The southwest railroad town packs 140 years of history in a Rocky Mountain valley. Gun battles, lynchings, fires, and general Wild West chicanery are all part of this fun and spooky tour of downtown Durango. 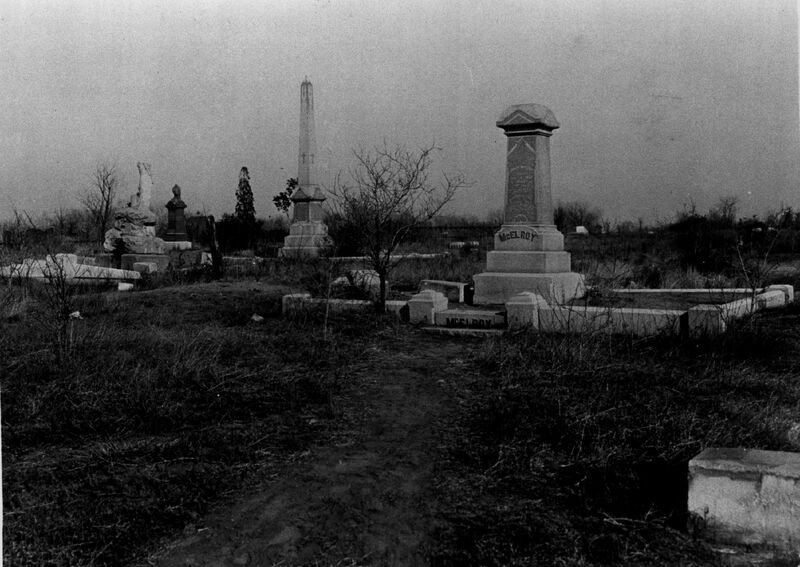 In addition, the company is offering Halloween cemetery tours at the end of the month. On select days in October, you can stroll Littleton’s dark streets and alleys, uncovering tales of the haunted past along the way. The tour offers history and tales of eyewitness encounters, and it is fun for all ages. Your storytellers will dress in period attire to make it even spookier. All aboard for thrills and chills in Fort Collins! You can choose from three tours, Trail of Terror Tour, Haunted Pub Tour, and Ghost Bus Tour to learn about hauntings on CSU’s camps, dead bodies in the basement of the old library, and other frightening flights of fancy. Get your spook on in areas that are not open to the public on the Nightly Spirits Denver Ghost Tours and Pub Crawls. You’ll explore Denver’s basements and tunnels, take a trip into the city’s historic brothels and red-light district, and much more. The group offers all age ghost tours, and 21+ pub crawls. Local historian Phil Goodstein provides historical walking tours of various Denver neighborhoods, including the Capitol Hill area, Cheesman Park, Mount Olivet Cemetery, and Crown Hill Cemetery. These haunted tours are heavy on history for those who are into more than just a few thrills (but, there are those, too). Where can you see Denver’s first crematory chamber? Riverside Cemetery, that’s where. For a few select nights in October, you can join your guide and wander through the mysteries of the Denver’s oldest operating cemetery by the light of only a flashlight. 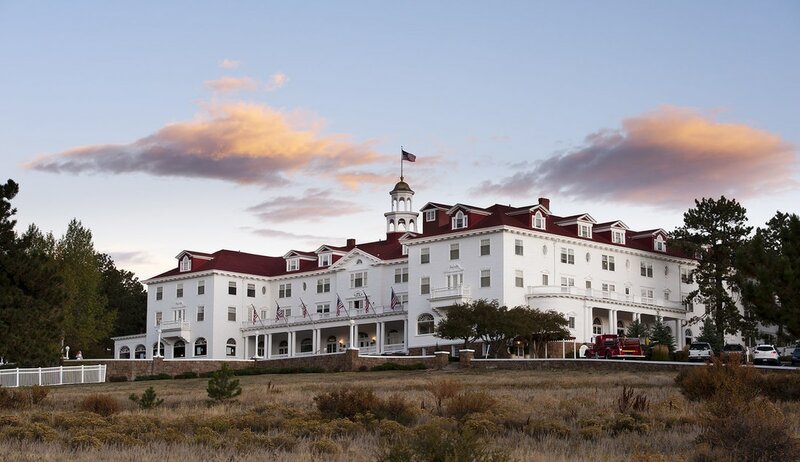 A ghost tour at the Stanley is kind of the ultimate in awesome. 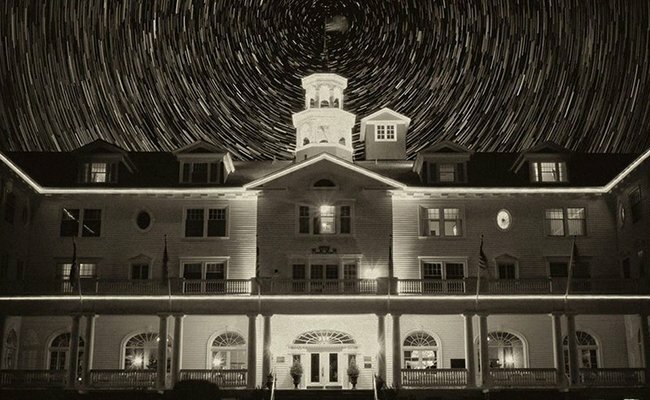 Take a nighttime trip through the famous hotel, learning about active phenomenon and the haunted folklore that the place is known for. Years ago, the Crystal Rose, now the Yak & Yeti, was the scene of a tragic murder. The victim still haunts the restaurant today. Paranormal investigator Baxter will reveal all he’s learned from seances in the restaurant. Send in the clowns (and donuts) and ruin friendships this Halloween season.